When it comes to choosing a new carpet, you can narrow down your options. Figure out how to get the best one for you by bearing in mind where it’s going, how much footfall it’ll endure and what kind of look you’re going for. If you’re looking for a carpet for the downstairs hallway, there’s bound to be lots of footfall. ou’ve got more freedom to branch out to other styles and treat yourself to a bit more luxury. An important thing to consider is the density of the carpet. This is determined by how closely knitted the fibres are. Denser carpets will be more suitable for high traffic areas of the home. Wool – This is used for high-quality carpets, so expect a higher price point. But with a great looking floor that’s made from natural, sustainable fibre. Wool gets top marks for insulation, durability, appearance, and underfoot comfort. Just know to expect to pay the most for this fibre. Wool mix – An 80% wool, 20% man-made fibre mix – usually polyester. This option is usually the most popular for those looking for an all-purpose carpet that looks great but is also better at withstanding a busy family home. Polypropylene – This man-made fibre is hard-wearing and stain resistant. It is usually available at a more affordable price than other options. Polyamide – Also known as nylon, this fibre is another popular option for those looking for a good all-rounder carpet for a busy family home. Also, this flooring is available in a wide range of colours that often can’t be reproduced with wool. 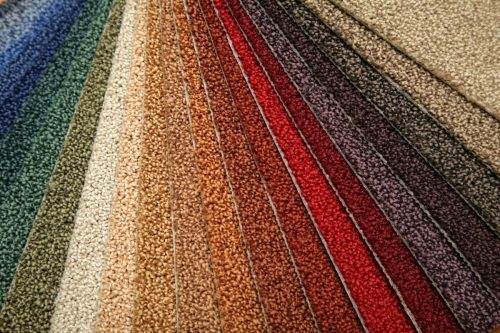 If you’ve decided which carpet would be best for you, or you need a bit of help with your decision, then we’re here to help. Take a visit to Harts Flooring and we’ll be happy to show you all of the carpet that we have on offer.